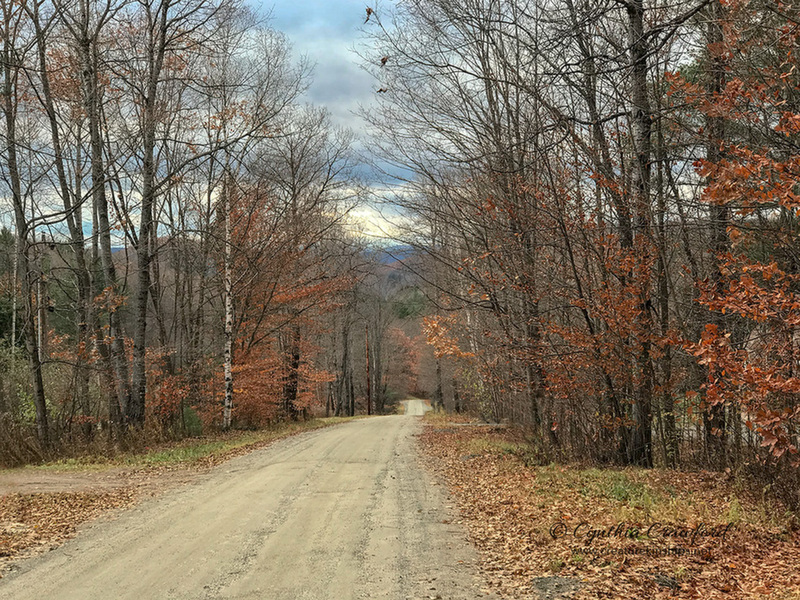 Taken in early November-I travel this road nearly every day- love the view. It is now covered in snow and we had a 3 day power outage!! Aaah, country living. Cloned out some garbage cans and mailboxes. Have been enjoying the convenience of shooting with my iphone when no other camera is in my car. Lovely country scene, Cindy. The road is a wonderful leading line into the image. Lucky you to live in such a beautiful place. I have to echo Ron's thoughts, lucky you! I have always lived in the country - until the last few years when I moved to the edge of a town - quite a shock to the system! Your lovely image just brings home the whole essence of country living - clean air, nature and open roads. A must click for the full effect of this beautifully composed scene with the gentle autumn tones and the anticipation of the views that lay ahead! Nice iPhone shot. One thing I learned is to just force HDR to always be on when shooting with it. That way you get the standard image and an HDR one and the HDR one is often better even in situations where it doesn't seem like it would be since the sensor has such limited dynamic range. Ditto Ron's thoughts too Cindy. Looks very inviting! Thanks for the tip EJ. I've only had the phone a few weeks, so it's all new to me. Strange format too-I switched it back to JPG. Will look into HDR. A beautiful, inviting image. The composition is fantastic!